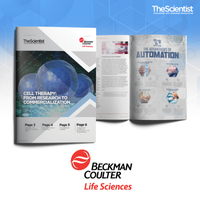 Download this eBook from The Scientist and Beckman Coulter Life Sciences to learn about the obstacles facing scientists involved in moving cell therapy into the clinic, including scaling up production, improving efficiency with automation, and achieving regulatory compliance! 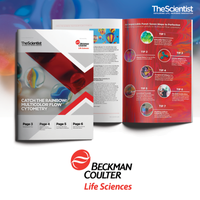 Download this eBook from The Scientist and Beckman Coulter Life Sciences to learn about the essential components of flow cytometers, setting up a high-parameter multicolor flow cytometry experiment, preventing common multicolor flow cytometry pitfalls, and high-sensitivity flow cytometry for nanoscale science! In vitro work has been generally unable to capture the intricate interplay so vital to regulating function and homeostasis. In vivo imaging represents a solution to that uncertainty. Download this eBook from AnalytikJena to find out how in vivo imaging gives scientists the ability to bridge the gap between the petri dish and the animal model! Lentiviruses are powerful tools in molecular biology. 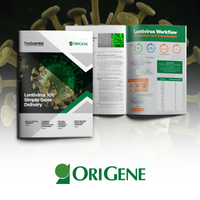 Download this eBook to learn about the basics of lentivirus preparation and production, working with lentiviruses, and counting and storing lentiviruses. 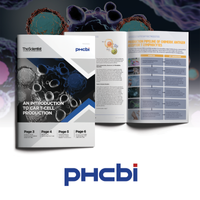 Learn about T-cell receptor-mediated cancer cell killing, constructing CAR-T cells, producing CAR-T cells, and manufacturing CAR-T cells for the clinic with this eBook! 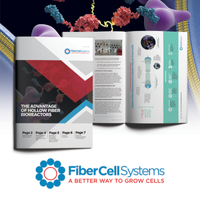 Download this eBook from FiberCell Systems to learn about using hollow fiber bioreactors for the production of recombinant proteins, difficult-to-express proteins, exosomes, and monoclonal antibodies! Water isn't just something that comes out of a tap or a machine, it's an important lab reagent that needs to be monitored for quality. 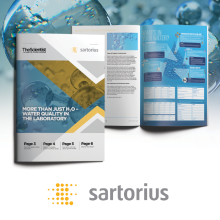 Discover how water contamination affects data quality with this eBook! 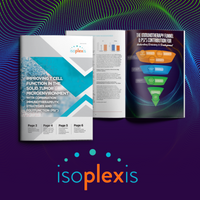 Download this eBook to learn about how the third dimension affects cell behavior, the similarities and differences between 2-D and 3-D culture, common 3-D culture models, and how to image and analyze 3-D culture models!